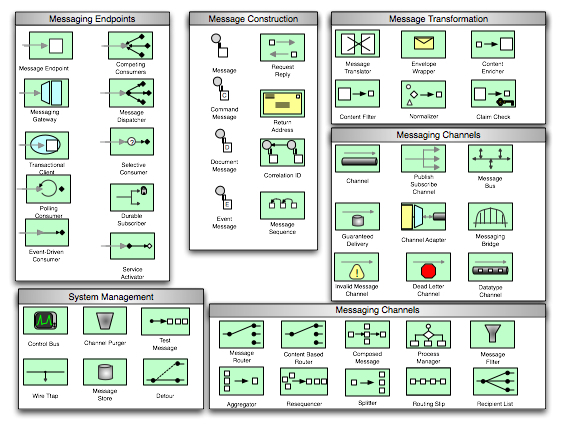 If you like Macs and Asynchronous Middleware Messaging systems, then you are in luck. Here is an OmniGraffle Stencil for the integration patterns described in Enterprise Integration Patterns. The stencil contains notation based on the authors' descriptions of the patterns. The book is one of the best resources available on messaging systems. The Stencil, like the book, has Message Endpoints, Message Construction, Message Routing, Message Transformation, Messaging Channels, and Systems Management patterns included.